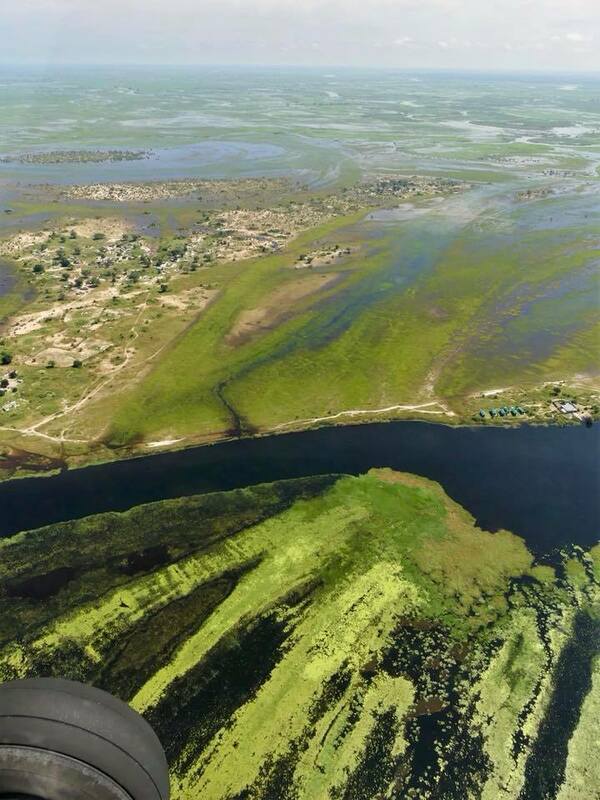 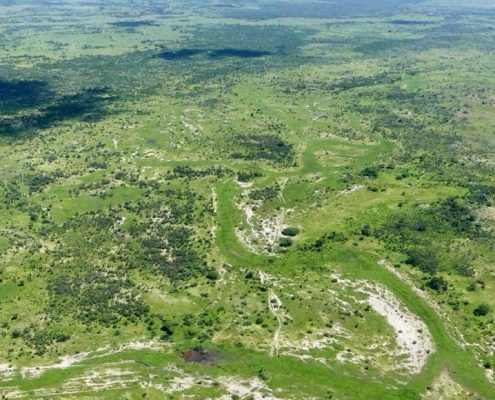 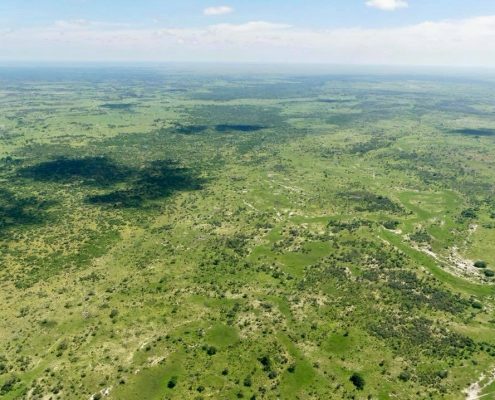 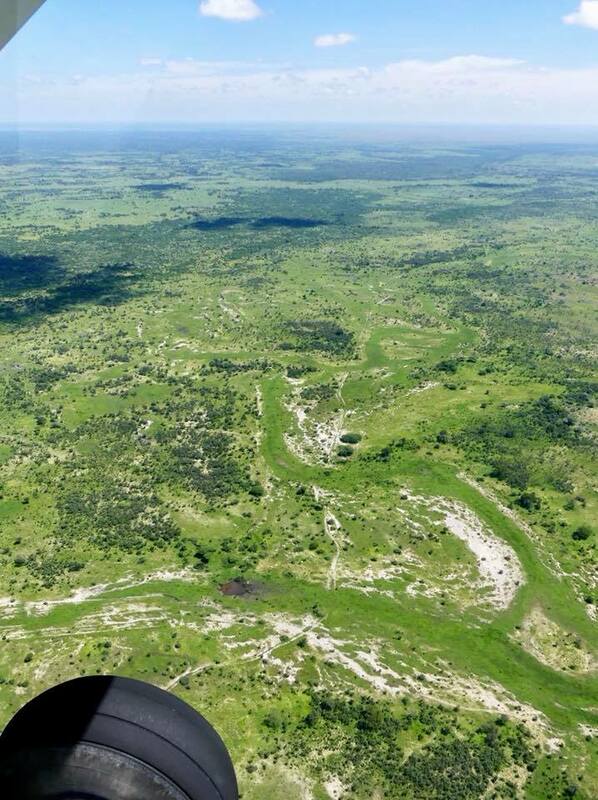 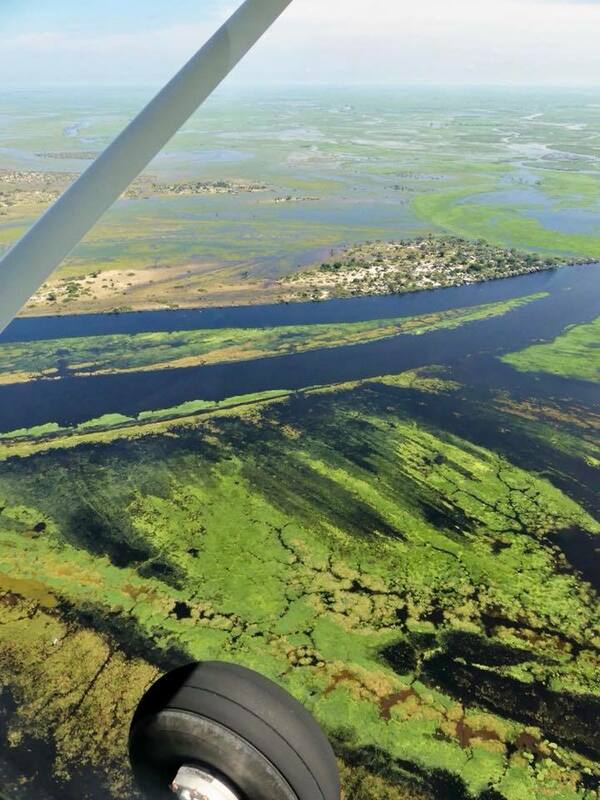 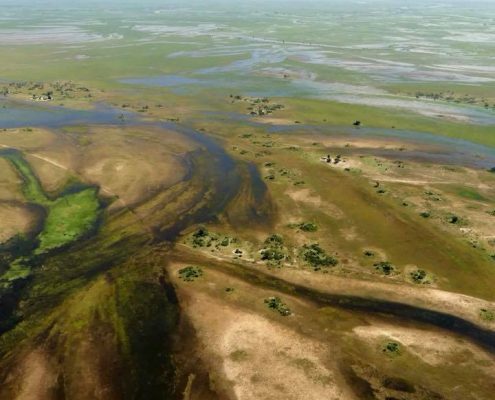 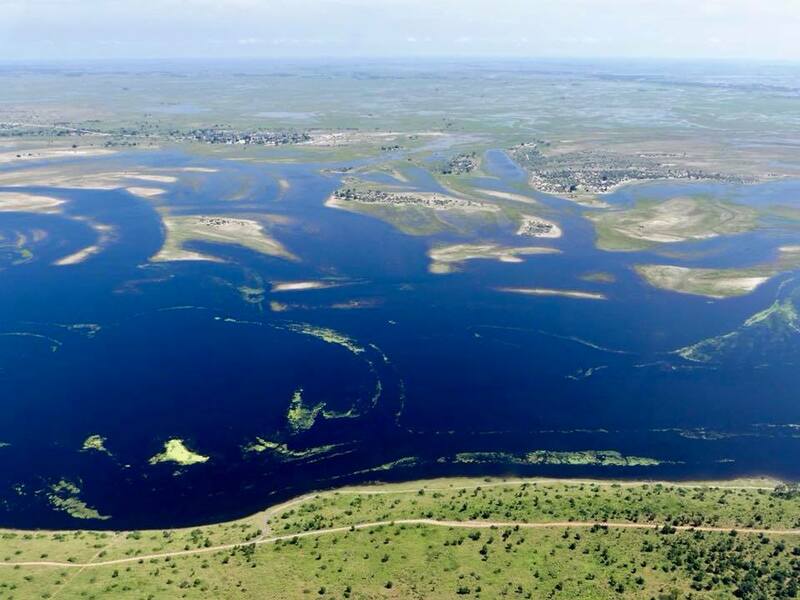 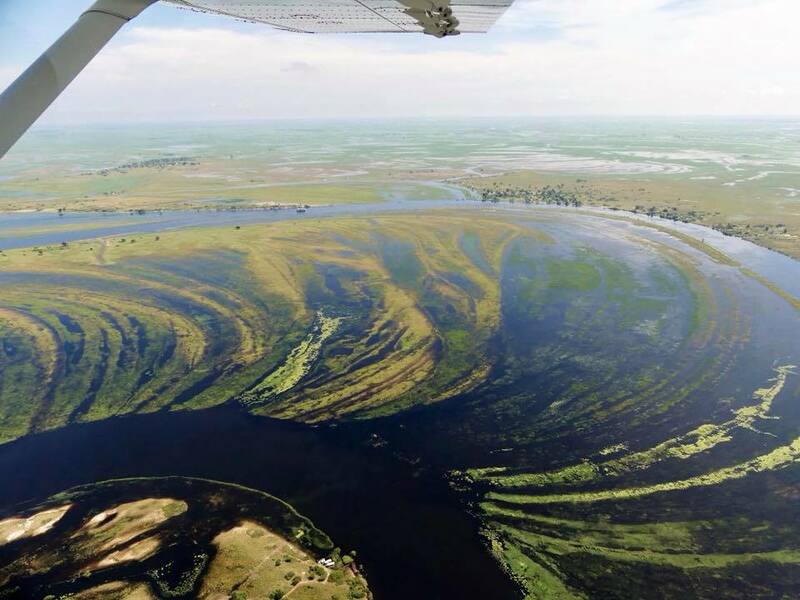 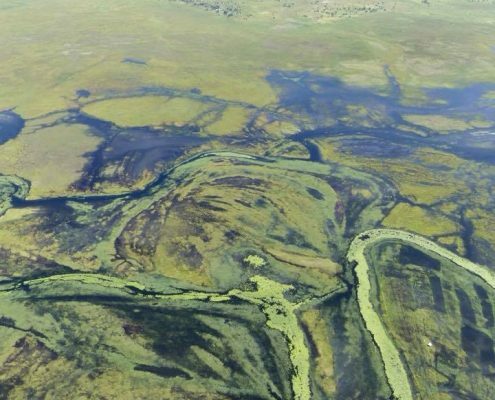 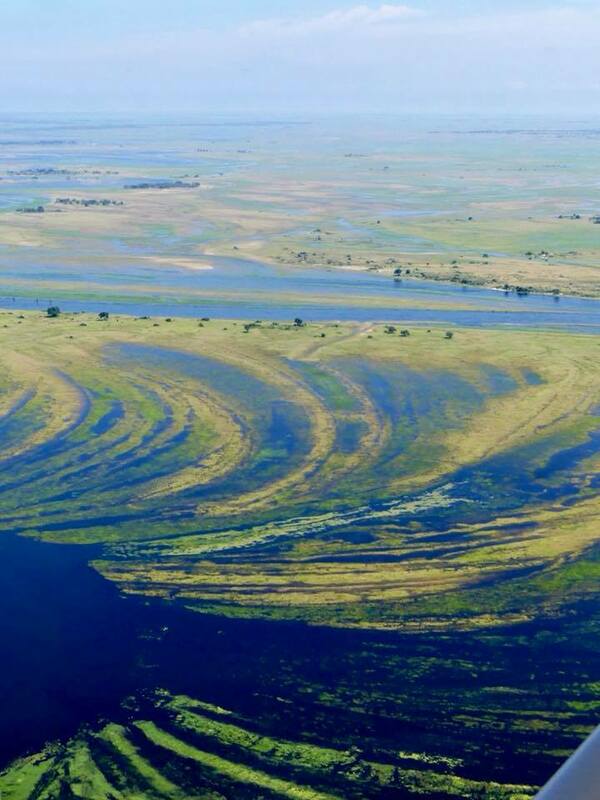 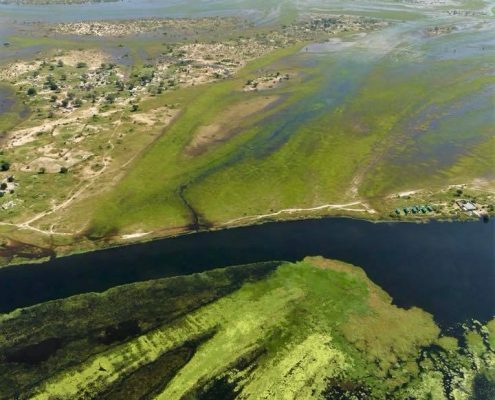 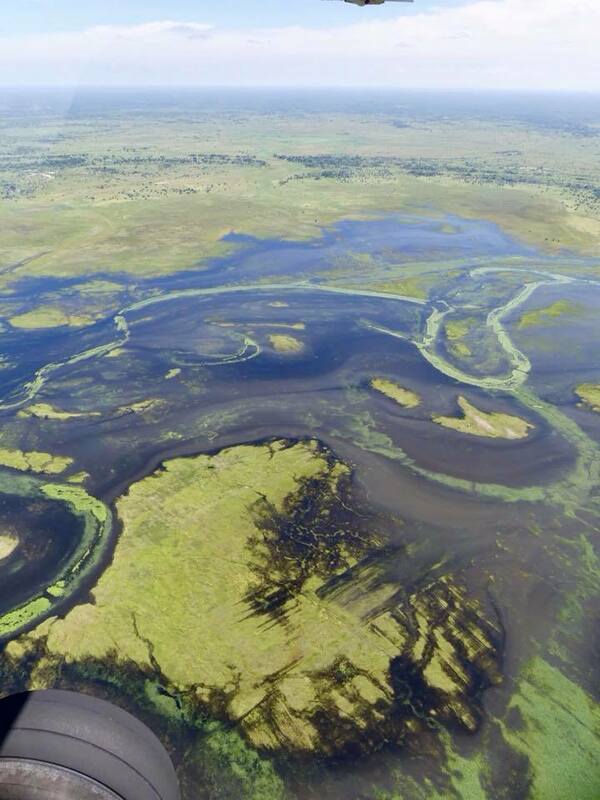 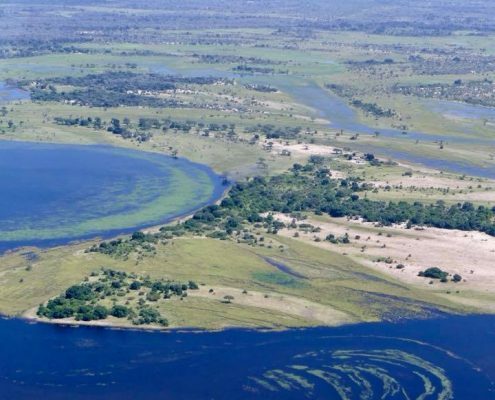 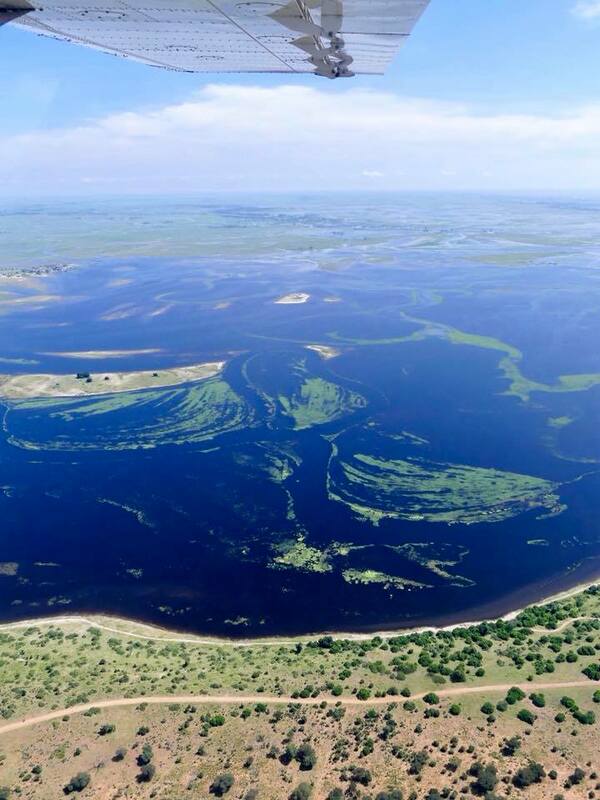 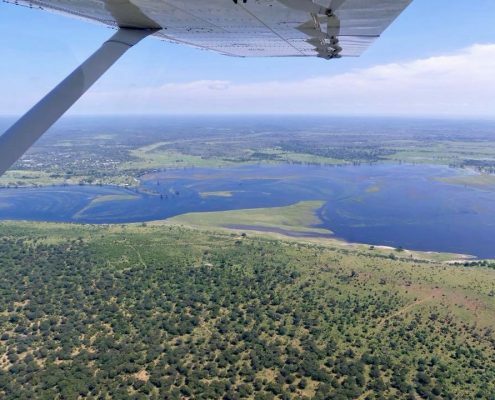 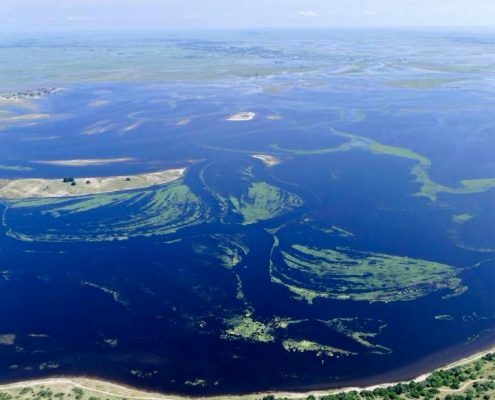 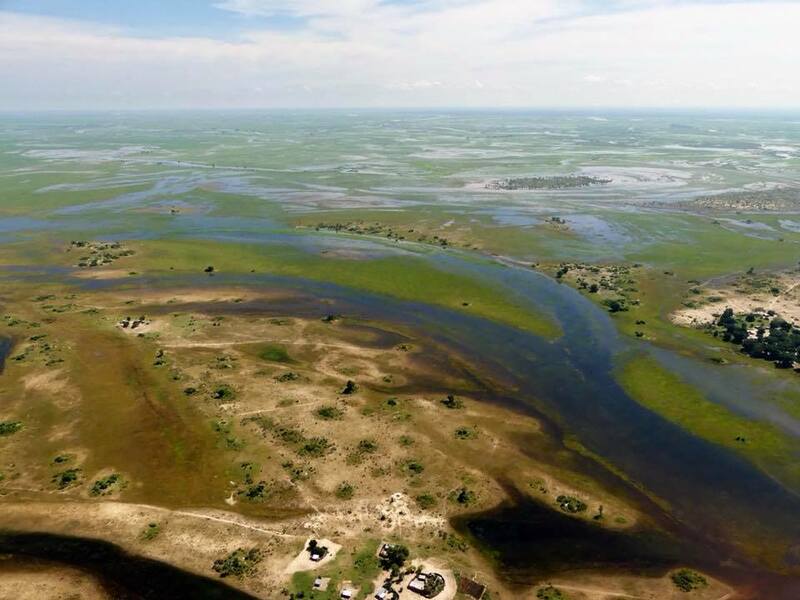 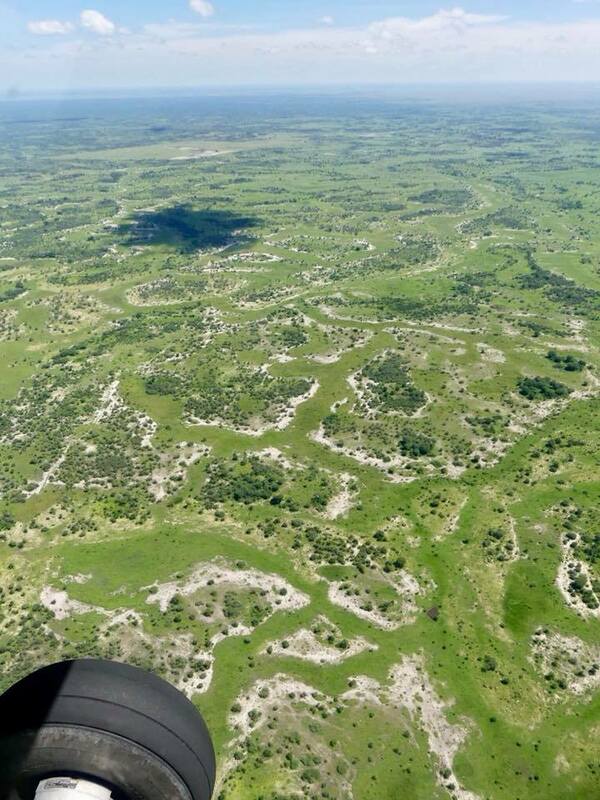 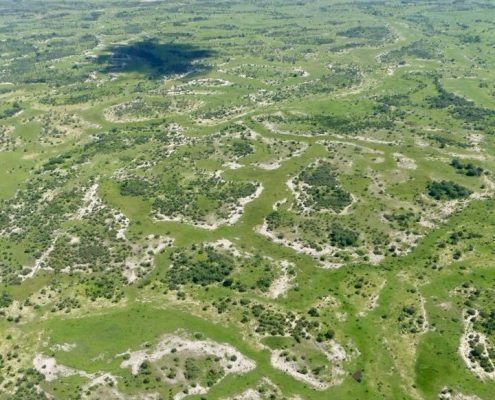 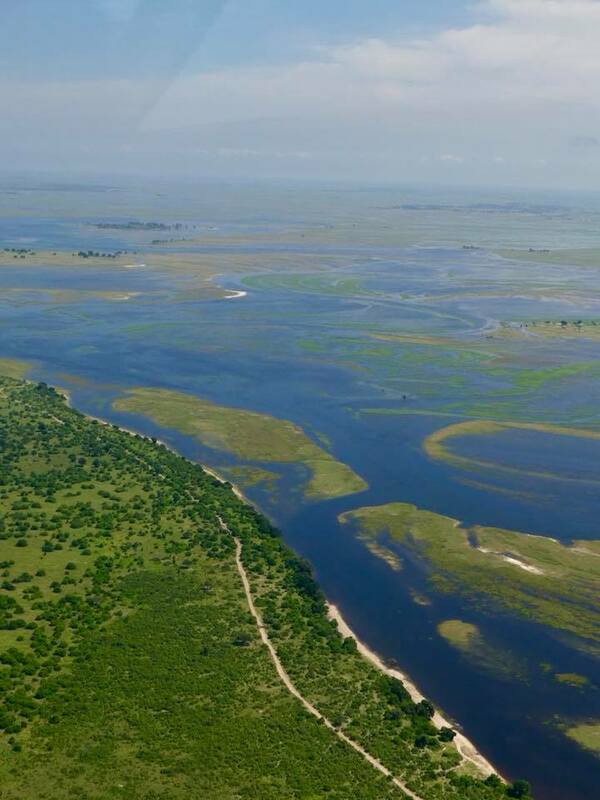 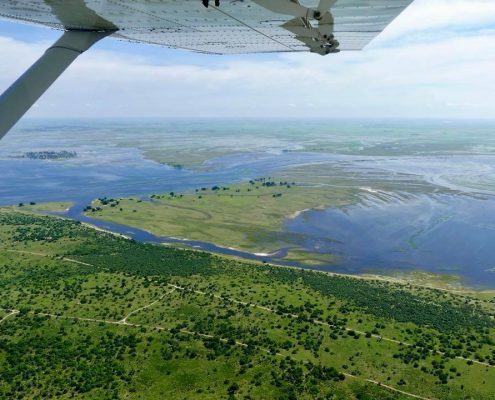 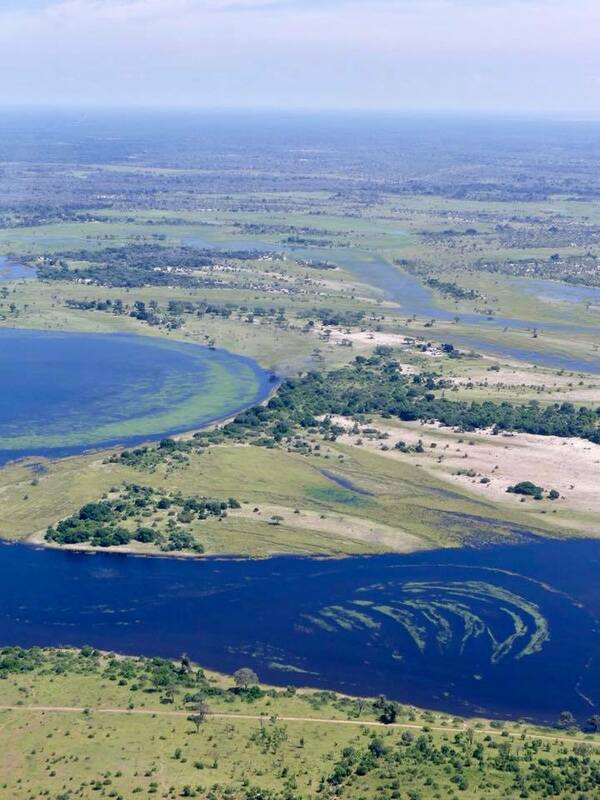 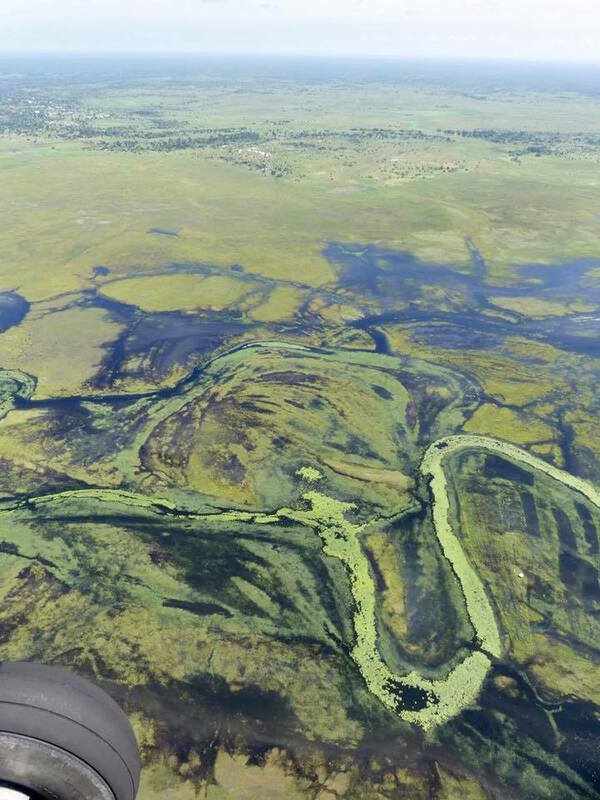 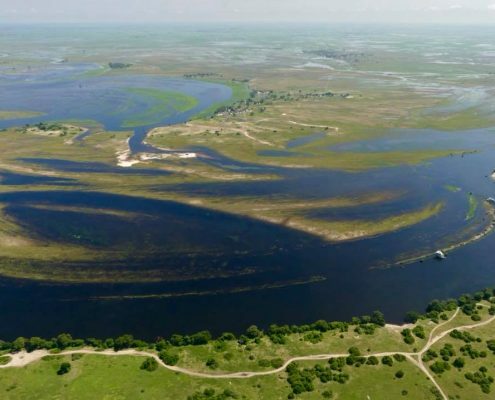 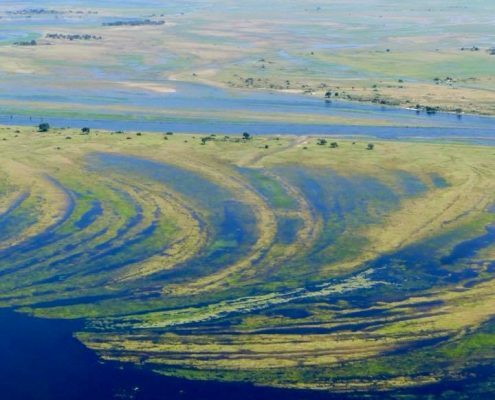 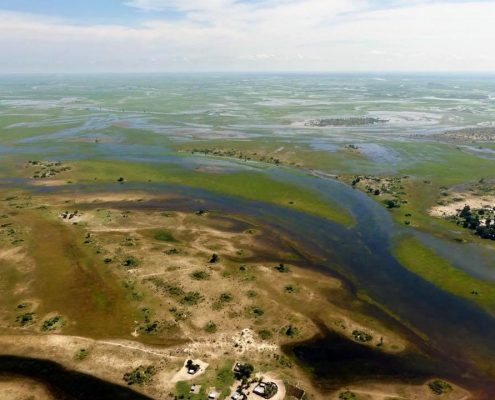 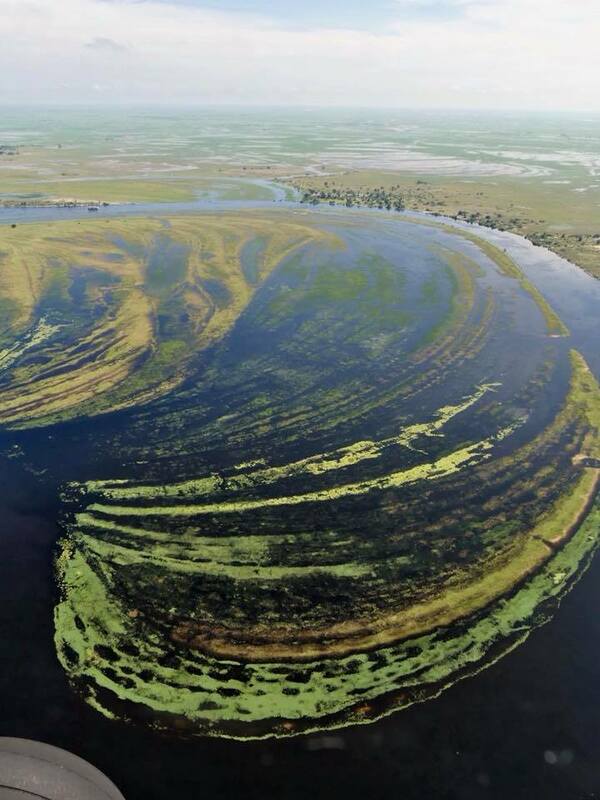 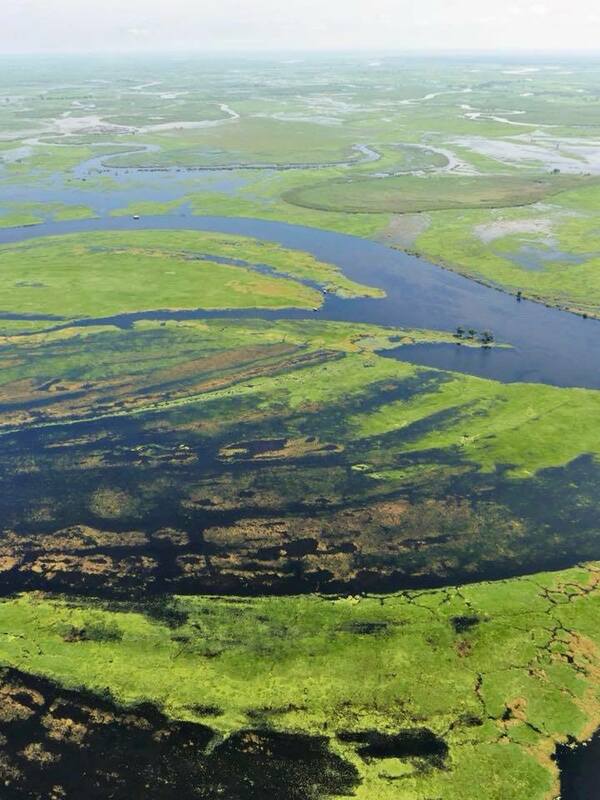 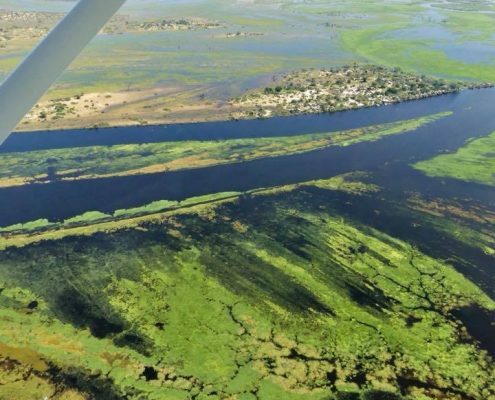 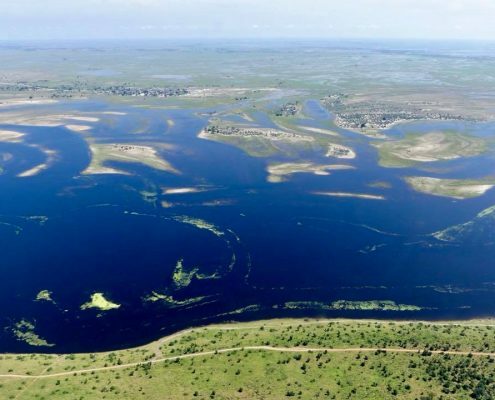 Caprivi Strip is a narrow piece of land that protrudes from northern part of Namibia and goes all the way to Zambia (when the maps where drawn, the Germans wanted a connection from their colony in Namibia to Tanganyaka). 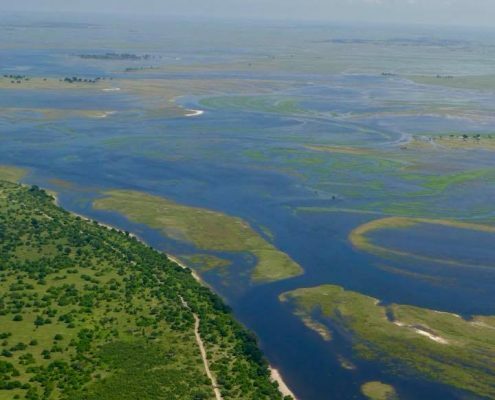 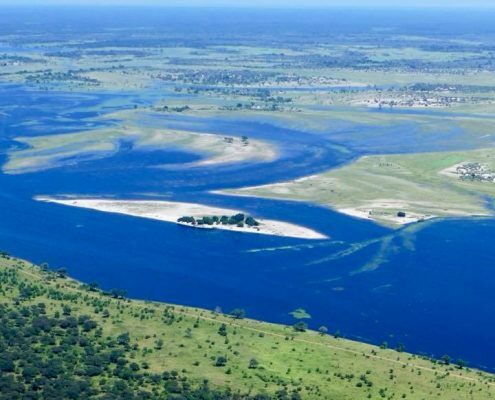 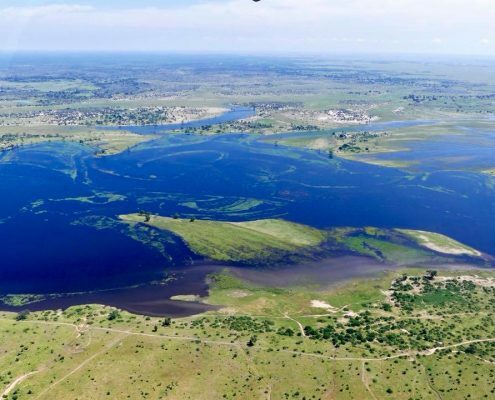 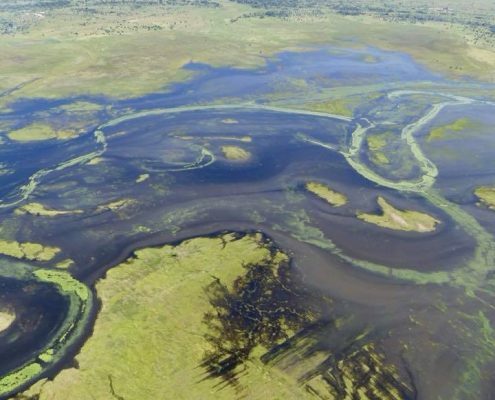 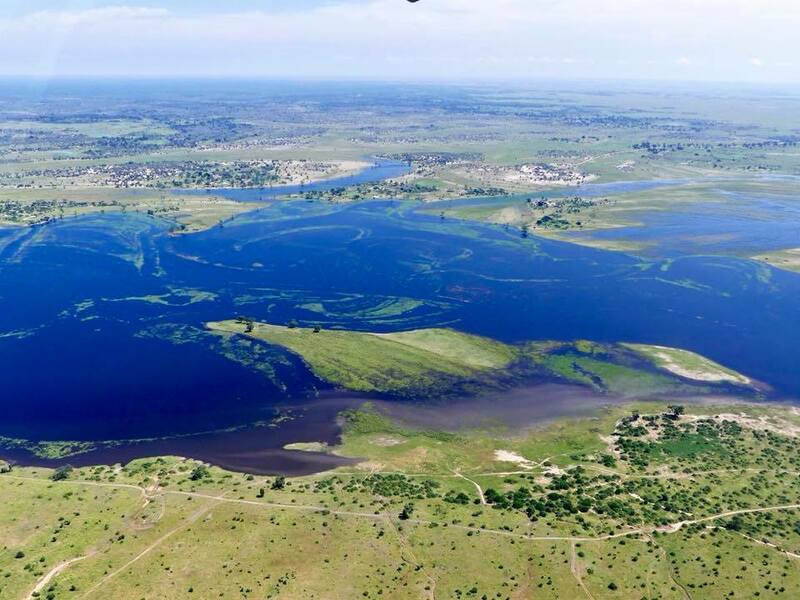 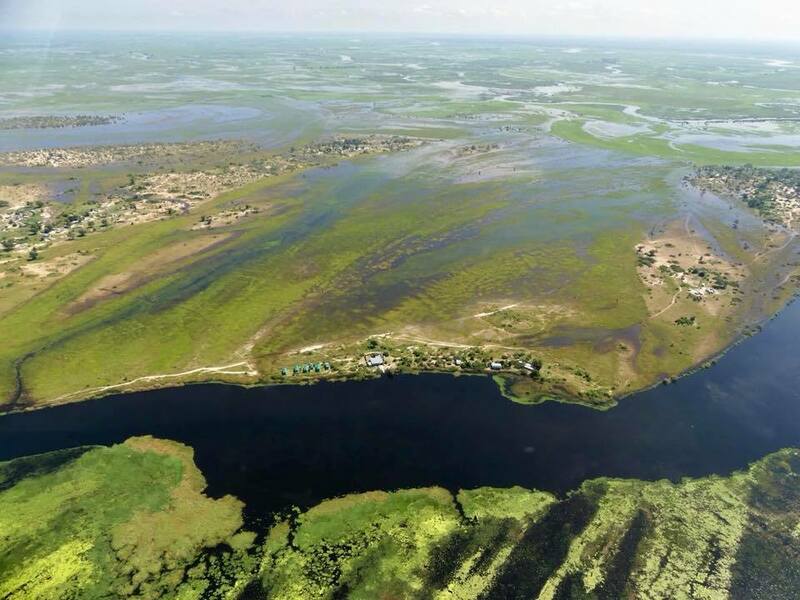 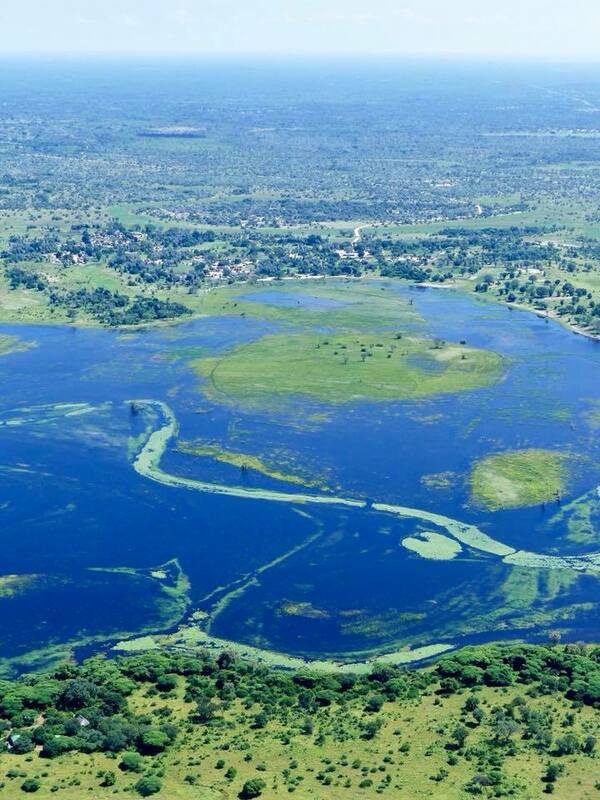 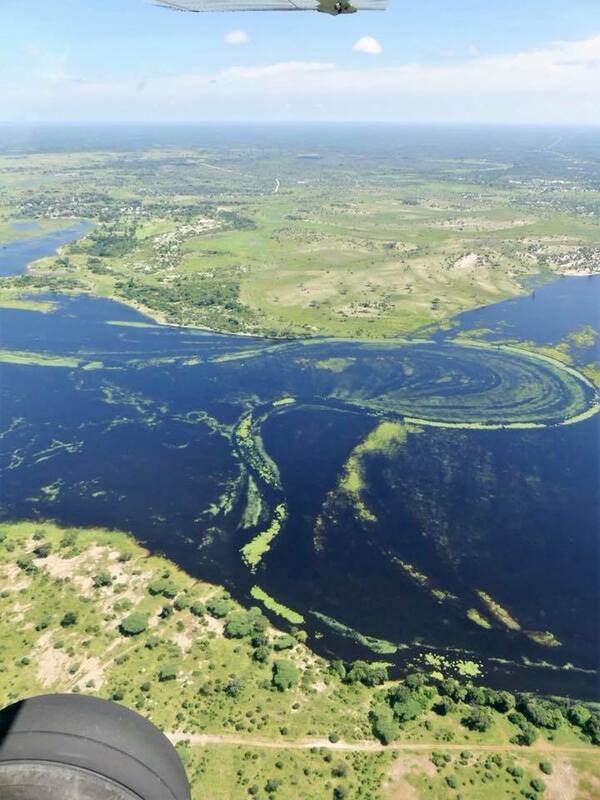 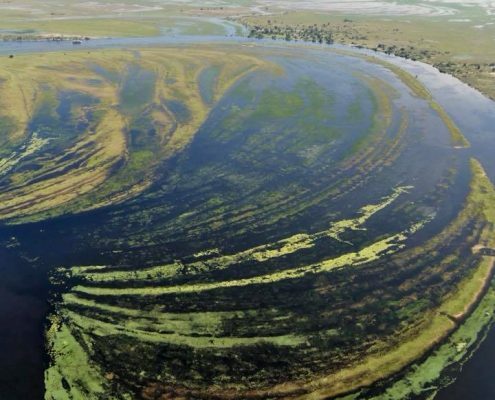 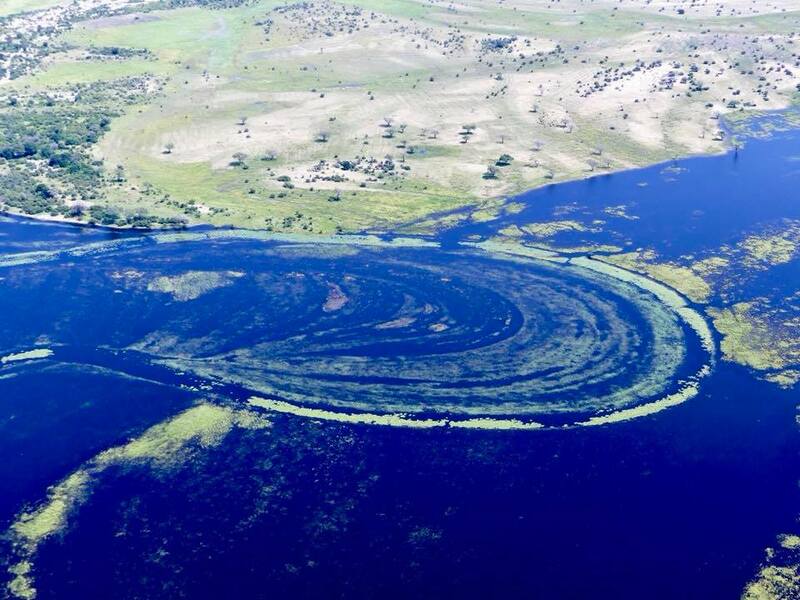 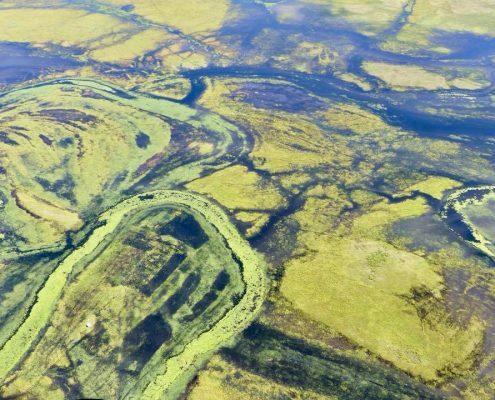 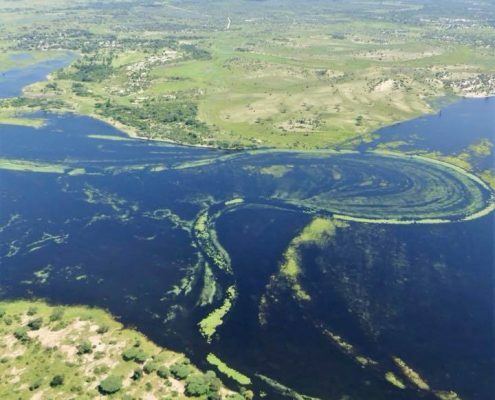 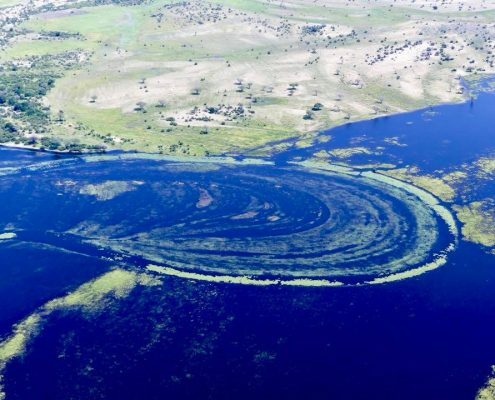 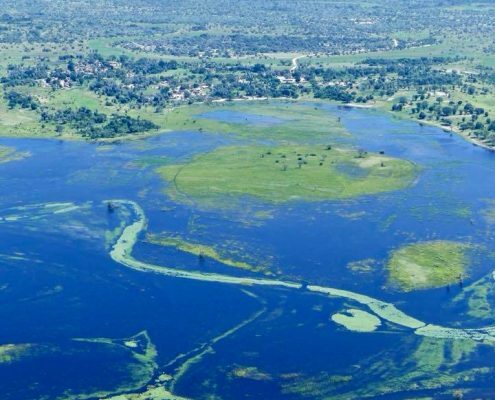 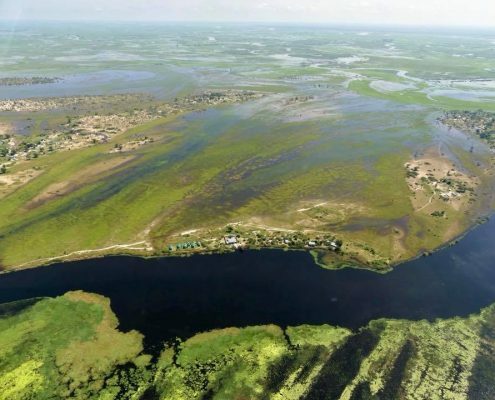 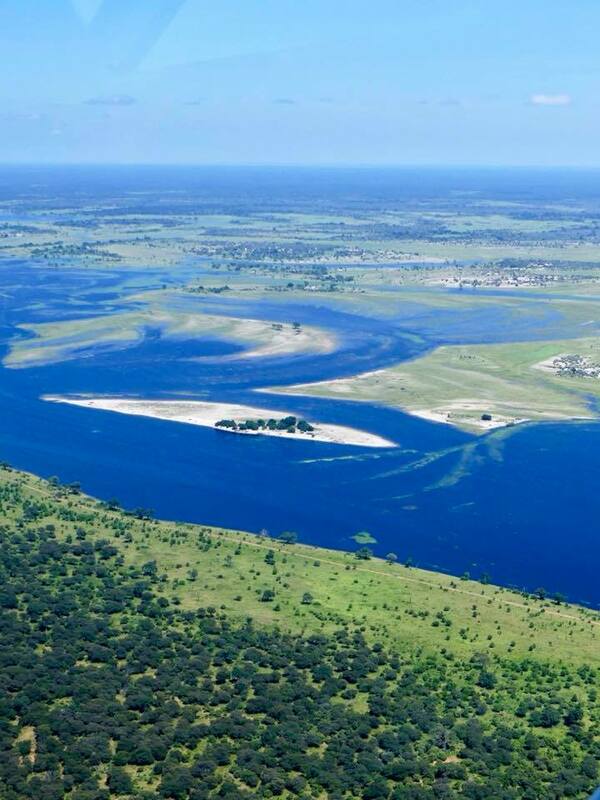 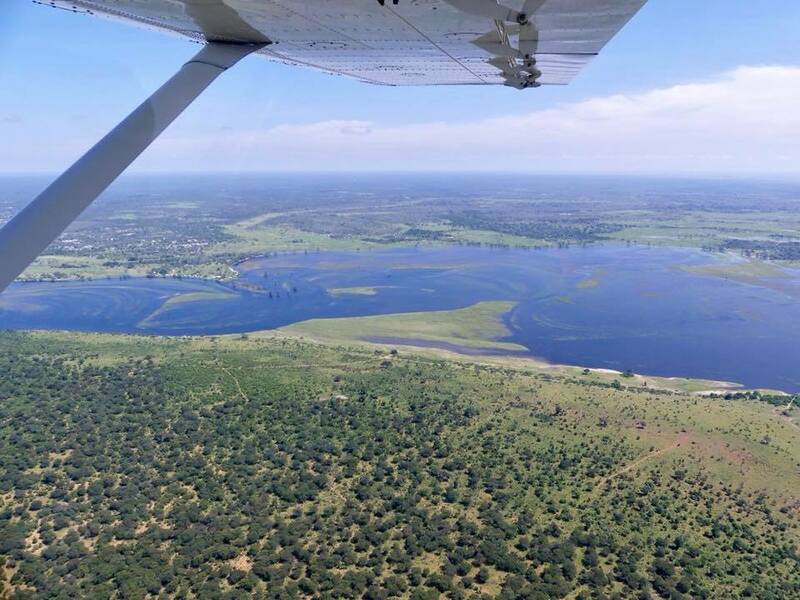 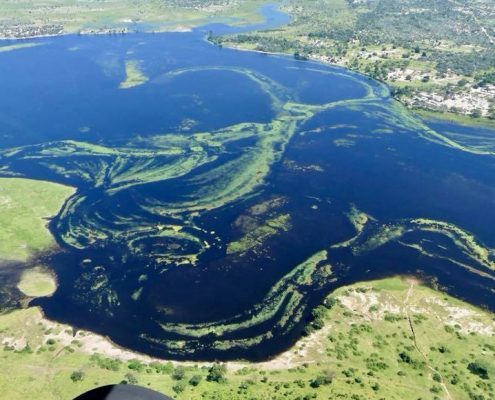 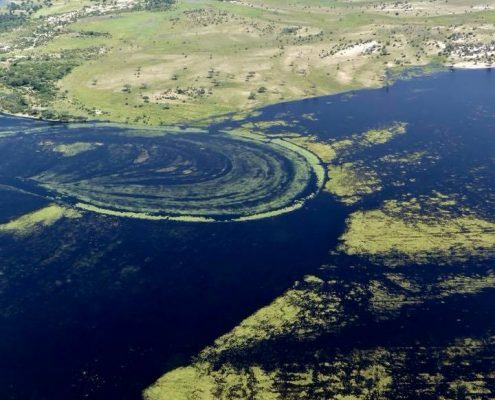 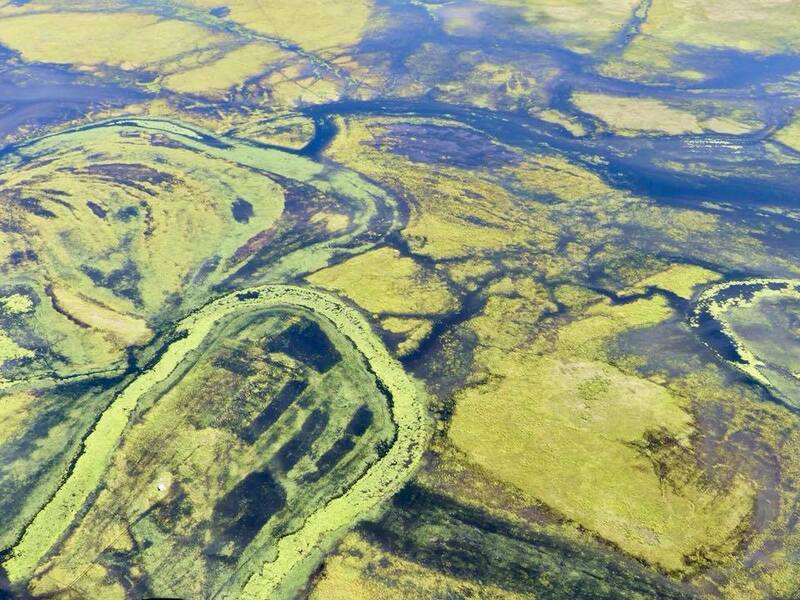 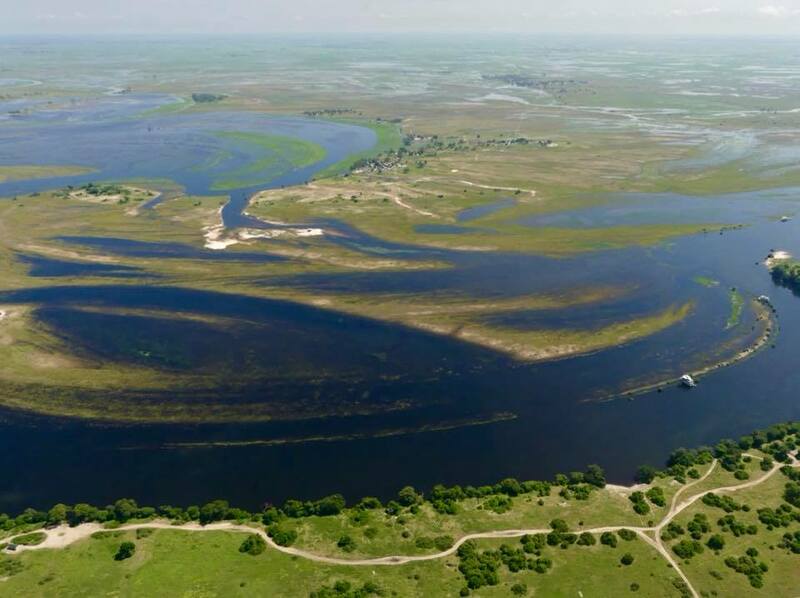 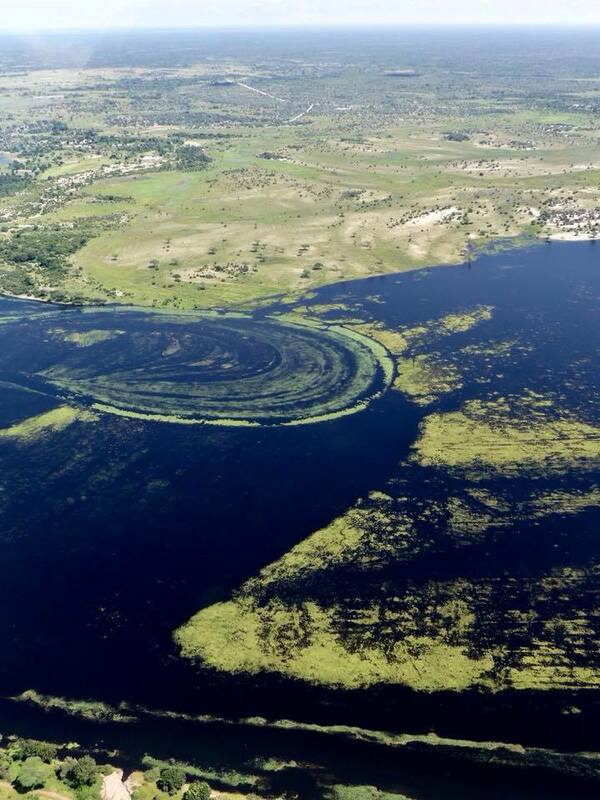 The area is scarcely populated and is essentially a large river delta (just like Okavango which encompasses most of Caprivi). 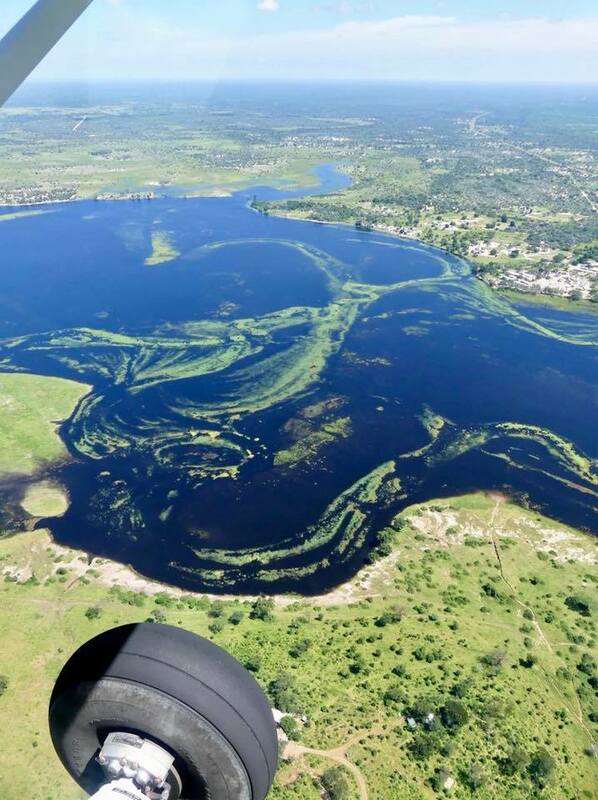 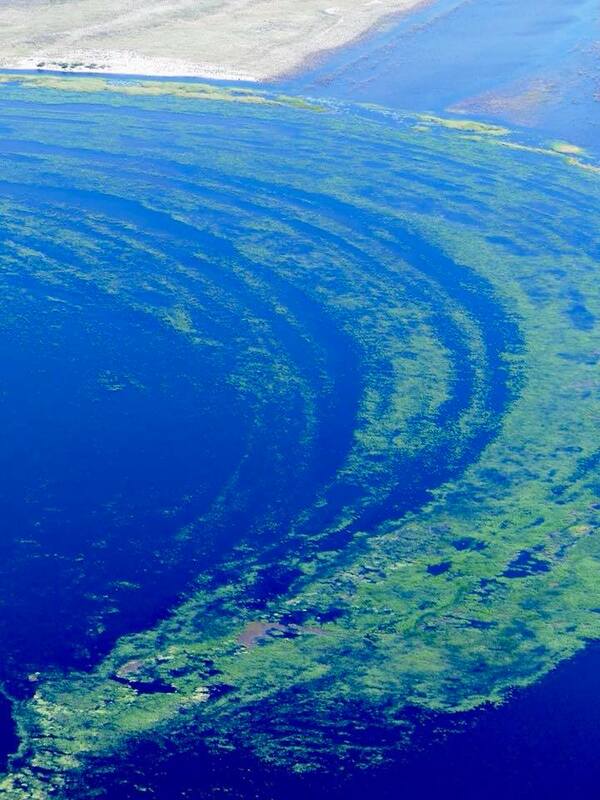 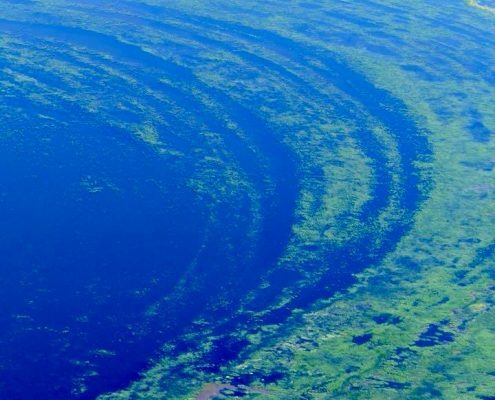 Flying over this land and water is an unforgettable experience – it’s like an artist’s palette of 50 shades of green – the water creates spectacular twists and turns and islands and sandbanks. 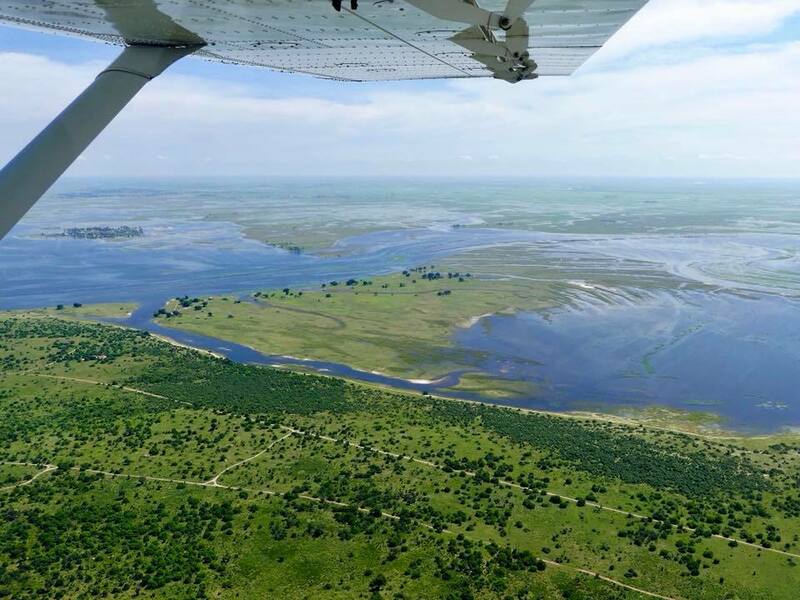 Flying is pretty much the only way of getting around – most roads are submerged in wet season and turn into deep impassable sand in dry season.